If You are New To web Hosting In Kenya, Then this is Post will answer all your questions. Are you looking to set up a website in Kenya? If so, you must have heard the term web hosting thrown around. In this post, we are going to look at cheap web hosting in Kenya plus all the questions you would need answered before deciding to purchase web hosting services. A domain name is a name that uniquely identifies a website or brand online. It works a bit like a Physical Address. For instance, our office location is Moi Avenue, Development House, 10th Floor, office number 13. This address would help you come directly to our office without asking for directions. Just like a physical address, a domain name helps users come directly to your online address (Your Website or email address) without requiring any other directions. A domain name has two parts, the name and the Extension. The name is usually the brand name or the name that you would like your website identified with. hostpoa is a domain name that uniquely identifies the hostPoa Website and .co.ke is the extension . What is a .co.ke domain name? A .co.ke domain name is a domain name of a company or entity in Kenya. The domain name is issued by the Kenya Network Information Centre (KENIC) which is a government agency. Anyone can buy a .co.ke domain… Buy Here and it only take about 10 minutes to register. .co.ke domain names work best for businesses that sell their products to Kenya since your customers are able to identify that you are Kenyan and not an international company. So if you have a business in Kenya and you are looking to get cheap web hosting, you can choose to buy a .co.ke domain name to improve your visibility in Kenya. When choosing a domain name, you need to be careful since you are determining how your business will be identified online. Your domain name is your online identity and the choice of name can greatly affect how your website performs. A poorly picked domain name would make clients get lost and not know if this your business or someone else that has registered the same name. The first question you need to ask yourself is if you will go with .co.ke or .com. You will have higher ranking on SEO when someone is looking for content related to what you offer but with a focus on Kenya (eg. when someone is googling shoes in Kenya, a .co.ke domain is more likely to rank higher than a .com domain. .co.ke domain names are cheaper than .com domain names so you will have an easier time paying. even when you have a name that is similar to international domains that are already taken, you may find that the .co.ke version is still available. You may not be viewed as relevant in other countries. You will therefore be appealing to the Local market but not the global market. Most of the Kenyan registrars only accept M-Pesa as the only means of payment. This may be a disadvantage for you if you live abroad. When looking for web hosting in Kenya, you will come across many providers who will promise great features but will most likely not live up to their promises. Below is what you need to avoid when looking for cheap web hosting in kenya. Ensure that you look for the reviews of the company that you would like to engage. Avoid any company that either has no online reviews or has any negative reviews. Avoid falling into the trap of buying more resources than you need. When searching for cheap hosting packages in kenya, you will come across upsell offers that ask you to upgrade your hosting package to higher resources citing that you will need the extra space in the future. An average 5 page website will not consume more than 50 MBs of web space. So buying a 50GB hosting package will be a waste since you may never get to use even a quarter of it before the hosting period expires. Avoid web hosting companies without good support: When using a web hosting account, you are bound to encounter challenges with your website, emails on the server or your domain name. When this happens, you will need to have a web hosting company that is available to sort you out and prevent any outages or down times on your website or emails. A good way to check for the availability of 24/7 service is to try to contact them at night or early in the morning. If they respond, you are sure that they will be available for you when you are in trouble. Who Owns the Domain Once I pay for it? When you pay for a domain name in Kenya, the name belongs to the primary email address that was used to register it. This is important to note since most web hosting companies will not allow you to give instructions for the domain name using any other email apart from the one that registered it. Something to take care of here is to ensure that you register your domain name with the email that you have control of and that will not expire in the period of your domain subscription. My advice would be to use a GMAIL address to purchase the domain name. GMail emails are usually really secure and will rarely be deregistered as was the case with Yahoo. 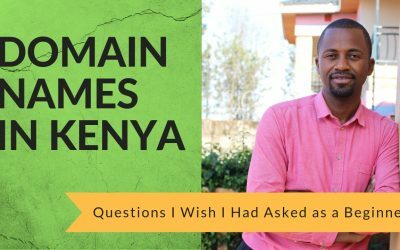 What happens to a domain name in Kenya when it is not paid for? Pre- Expiry Reminder: First, you will be sent a reminder 30 days to the renewal date. This email will give you a chance to pay for the domain name without losing access to it. Redemption Period: Second, once the due date hits without payment being made, the domain name expires and you receive an email telling you that the domain name has gone into redemption. What this means is that the domain name is still yours but you are not able to use it or the emails associated with it. Within this time, if you pay for the domain name, your services will be restored back to the way they were. Data Deletion and Domain Public Availability: 30 days after the due date, the name goes back to the public domain where it can be bidded for and bought by anyone. It is now in the public domain and can be bought by any of your competitors or anyone who thinks they would benefit from holding your domain. At the same time, your hosting account gets frozen and your data is deleted from the servers. I would advise that you backup all your data before allowing your account to get to this state because you may not be able to recover anything from this account after this period ends. If you have bought a domain name in Kenya from a provider like hostPoa, you may want to host your domain at an international host or use a third party platform like GitHub or Wix to create a website. 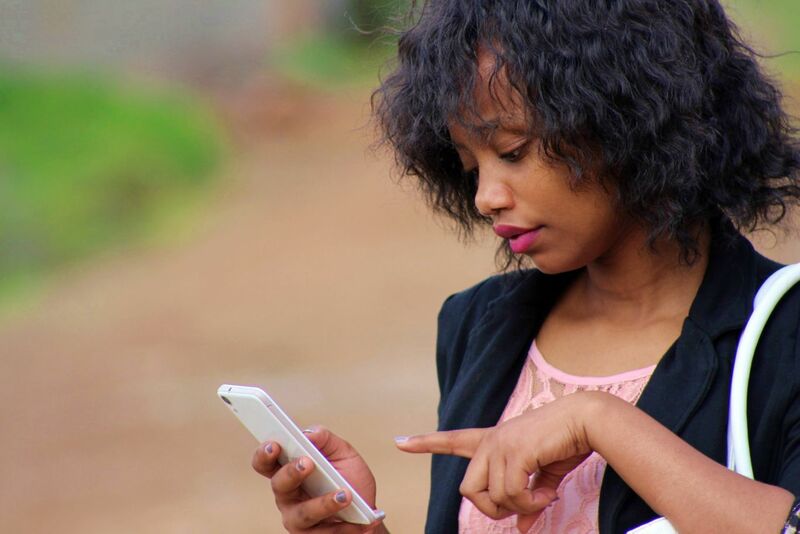 You can connect a domain name in Kenya to a web hosting account by adding the web host’s nameservers to the DNS Records of the domain name. On hostPoa, you can access the nameservers through the client area of the website. You can visit a place but have nowhere to stay or leave your luggage and definitely you will need someone to host you for you to put your luggage at least. This is just the same as web hosting. You may already have a website and a domain name but you have nowhere to host them. Web hosting comes in because it is a service that allow organizations and individuals to post website or web page onto the internet. Websites are hosted on special computers called servers. When Internet Users want to view your website, they type your domain into their browser then their computer will connect to your server and your web pages will be delivered to them through the browser. Most hosting companies requires you to have a domain in order for them to host your website and some will be more than happy to assist to give you hosting and domain. For instance if you decide to create and host your website with hostPoa, you will be able to own your own cpanel account , have unlimited databases, have unlimited Email Accounts also get a custom domain. Why is web hosting needed? Web hosting is very important and hence there is need for it. One of its importance is that it manages all backend concerns including the maintenance and repair of servers.Web hosts are designed to make your life easier by saving you the hassle. The other reason why web hosting is needed is that you website is safe in that you will be able to choose the CMS, the security plugins and other measures you can be sure your site has a higher level of security. In addition most of the hosting companies an example is hostpoa, offer 24/7 support hence you will have someone to contact immediately in case you have an issue. Well, cpanel is a popular control dashboard that helps you manage your web hosting server using a human-friendly web-based interface. Cpanel exists to provides a reliable automation software for companies to offer economical web hosting services and make web hosting easily used by a very wide audience. Its purpose is to make web hosting services easy, economical and reliable for hosting companies and web owners. Cpanel empowers the world to sell cheap web hosting. 20% of websites rely on cpanel to provide such things as company website, personal blogs, application hosting and e-commerce.These cuts down the cost of doing business thus enables people globally to have their own websites for few dollars a year. Owning a cpanel makes you get inexpensive, better service and a common interface regardless of which hosting provider you choose. Choosing a web hosting solution provider is dependent on the several factors. The preferred company must have competency and capability to meet the clients needs. Evaluating the needs of the client is therefore paramount when selecting a provider. Clients look for speed convenience and cost effectiveness of their service providers. Although they are looking for cheap hosting service the quality of the service should not be compromised. Most cheap web hosting solutions are based on shared hosting platforms. Clients value Customer support when looking for product and service. They anticipate a 24 hour support that is responsive and reliable throughout the day. Their availability must also be based on several platforms of communication for their convenience of the clients. Automation of the process is also essential for clients who are looking for instant and automated set up. What Storage do I need on my website? In my experience as a web designer, I have found that even the most heavy website do not exceed 200mbs. This is is even with duplicate images and a heavy wordpress theme. I find that the thing that consumes the most memory are emails, most of which are junk anyway. So if you are strapped for cash, you can get a web hosting plan that has low storage and you will be just fine. How Do I upload my website on my hosting account? The best kind of web hosting for small businesses is shared hosting. It is normally cheap (hostPoa Shared Web Hosting starts at KSH995 inclusive of domain: Check it out here) and its capabilities allow for a small business to be online affordably and without a lot of hassle or cost. A normal web hosting package will have a domain name, cPanel interface & a webMail interface that is based on cPanel. This is the standard configuration to be able to effectively launch a small website and communicate with your clients on email. Shared hosting is the best if you are a small team and that you are not sending a large volume of emails per day. This will depend on the number of website visitors you are getting per day. The traffic you receive will affect your hosting bandwidth meaning that you need to have high bandwidth to begin with. The best web hosting for wordpress sites needs to support phpMyadmin, support PHP5.6 and above and have MYSQL databases available. Just in case you don’t understand what these figures mean, don’t worry. A standard hosting platform like the one hostPoa provides will have these things already set up for you. In addition to this, we will maintain the server space for you so that you will never have to deal with code. 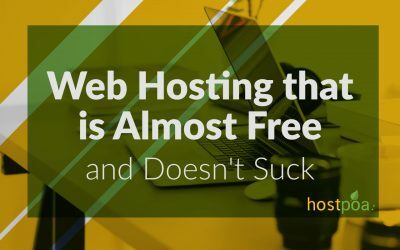 Can I do web hosting on my own? Can you change web hosting companies in Kenya? You can change web hosting companies in Kenya and beyond. This is done by first asking the hosting company where you want to move from to give you your EPP code. An EPP code is a code that authorizes the one who has it to transfer a domain name from one registrar to another. You would need to give the web hosting company you are moving to the EPP code and the login credentials to the the cPanel of your website. At hostPoa, we would help you transfer both your domain name and the website and emails from the other host to us at no extra fee. All we would need is for you to provide us with the EPP code for your domain name and we will take it from there. Where are the servers of Web hosting companies in Kenya? Almost all of the companies that provide web hosting in kenya use servers that are located in the USA. This is because, this method provides a very consistent and reliable hosting environments as opposed to hosting in Kenya. Looking for Web Hosting in Kenya without Credit Card? Almost all of the Web Hosting companies in Kenya provide their customers a way of paying for their services using MPesa. This makes payments easy and hassle free both during registration and renewal. At hostPoa, you can pay for your hosting services using MPesa and your services will autoprovision themselves as soon as you pay. This means that you do not need to talk to any of us to access your web hosting services. You can sign up at any time of day and night and you will be able to purchase or renew your hosting services. Most web hosting companies in Kenya have several forms for payment for their products and services. A large number of companies have mobile payment as their main form of payment. Some have have gone an extra mile to have an automated payment system that auto provision itself without the need of any human interactions. At hostPoa have a fully automated ordering and purchasing system integrated with Mpesa Payment System. In the system you can be able to search for a domain and make an order. Once an order is made the the system automatically reserves the prefered domain awaiting the clients payment. They system automatically generates an invoice with an invoice number which is used for the payment. Once the payment is made the system automatically triggers cPanel login credentials to the client. The automatic and instant setup enables the client to upload their sites on the new domain name. All these process takes place automatically. SSL stand for Secure Sockets Layer. It ranks as one of the most essential components of the your website by creating a trusted environment for the visitors to your site. It is an important security protocol that assist in establishing a secure and encrypted link between a browser and a web server. SSL is installed on website to ensure that all data transmitted through the website is secure and encrypted. It builds trust taonst the website visitors allowing theme to make online tanaaction on your site. When it is installed on your site your site will always appear with a lock sign and green bar. When you purchase hosting with hostPoa, you get a FREE SSL certificate free for life. The domain purchased automatically load with the lock sign and green bar. Theis marka your site secure to your customers to make online transactions without the fear of compromising their private information. A domain bought at hostPoa is ready to for online transaction for your business. Read More about other blog posts about web hosting, web design and doing business online.